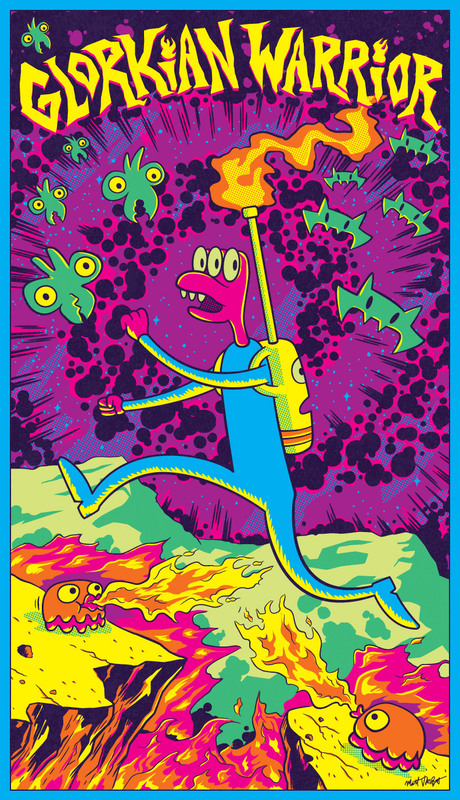 I drew this as a submission to James Kochalka and Pixeljam's Glorkian Warrior fan art contest... and I won! The prize was a copy of the GW Delivers a Pizza book, and an original painting by James Kochalka. Needless to say, I was pretty excited. Glorkian Warrior is really fun video game. Check it out!